QuoteSearcher Blog: Would you pay for Customers to Travel to you? Home Blog Would you pay for Customers to Travel to your Restaurant? Would you pay for Customers to Travel to your Restaurant? For a number of years now the search engine giant has been investing in new technology, including robotics and autonomous vehicles. 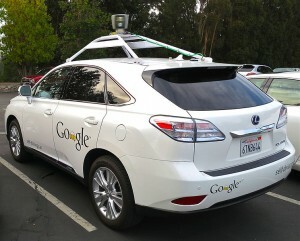 Google already has their own driverless car, however in the future they are planning on producing them en masse and putting them on the market. Once this is the case, companies will be able to run a fleet of vehicles without the added cost of drivers, meaning that customers, or even restaurants bidding for them, will pay less for transport. While their autonomous vehicles are still in the preliminary stage, Google suggests that their concept could still go ahead using regular vehicles and drivers; however this could increase the cost. In their patent, Google has written that: “The present invention relates generally to arranging for free or discounted transportation to an advertiser’s business location. More specifically, aspects of the invention involve automatically comparing the cost of transportation and the potential profit from a completed transaction using real-time analysis. Getting a potential customer to a business location in order to conduct a sale may be one of the most difficult tasks for a business or advertiser. The current plan is for Google to show users restaurants in certain areas with the highest bids which are also willing to transport them to their establishment (either using a regular vehicle or an autonomous one). This is akin to what they already do with their ‘sponsored ads’ section on their search results page, as certain companies pay in order to show right at the top. It is assumed that passengers will be able to search for a type of restaurant in their area, for example a Chinese restaurant, and are then shown those that are bidding the most and offer transport. The technology would take into consideration location, the distance to travel, how busy the restaurant is, whether a competitor will pay more to take the customer to them instead, fuel prices and other costs and then provide restaurant owners with information on whether it would be financially viable for them to pay for a vehicle to take said customer to their establishment. We have already seen an increase in restaurant owners embracing new technology, especially when it comes to Google as it can potentially provide an increase in business. However, it looks as though in the future restaurant owners will need to rely more heavily on technology in order to stay ahead of their competitors, which may require them to hire someone dedicated to this type of work. Legal implications are also likely to arise, such as whether restaurant insurance will need to cover public liability during transit to their premises as part of the deal. There will also be issues concerning false advertising, as some customers may be enticed by a good advert but then find the establishment is not what they expected it to be. However, the plan could benefit both restaurant owners and customers as it means owners will receive more business while customers won’t have to worry about the cost of transport. Even though Google has stated they are not sure whether this idea will ever go ahead, it’s definitely one to watch.